Add some excitement to your Bali vacation with a half-day water sports package. Complimentary transportation takes you from your hotel to Tanjung Benoa. 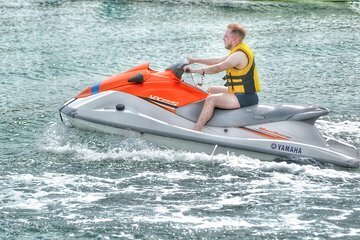 Feel secure with a safety briefing, then set off on a jet ski ride. Then, it's time to get beneath the surf and breath underwater with the help of a Seawalker helmet. After a banana boat ride, finish with a thrilling parasailing experience 328 ft (100 m) in the air.